What is Security Program as a Service? The rapid adoption of cloud, in-house application development, and open-data initiatives have been instrumental for business-enablement. However, this new data-centric world has increased the complexity of managing cybersecurity risks to business and people alike. In response: new privacy laws, security standards, and regulatory compliance have necessitated the need for companies of all sizes to create a robust security program to manage cyber risk and compliance, effectively. Established security and compliance programs are now including cybersecurity assessments of third-party suppliers as part of their procurement process. While there is a net benefit to this new security paradigm, companies without a formal security program are being caught off guard and consequentially losing business. The security status quo of the past has now become a business inhibitor and to be successful in this new data-centric economy, companies who demonstrate good security stewardship to their clients and consumers will continue to realize the competitive advantage that an effective cybersecurity program provides. StandardFusion and Mirai Security have partnered to provide clients with a highly effective solution for managing security and compliance requirements. Our turn-key Security Program as a Service solution enables your company to quickly implement an effective security program with measurable risk reductions and auditable compliance at your fingertips. Mirai’s methodology and experience in security and compliance program development, paired with StandardFusions’ cutting-edge GRC platform, will provide your company with security policies, documented controls, risk register, maturity roadmap and expert advice your organization needs. 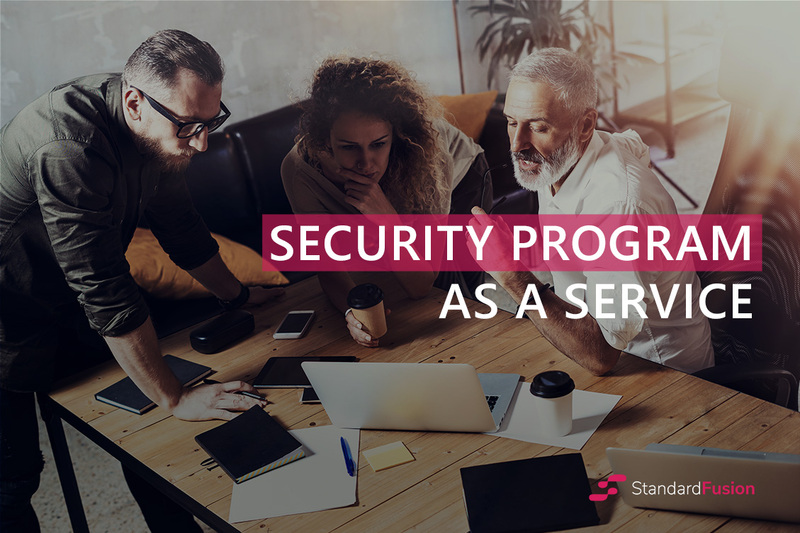 Our Security Program as a Service will take the complexities of GRC off your plate and provide your company with a single source of truth, supporting risk teams, sales, and auditors. Security and compliance programs are complex, time-consuming and require GRC expertise. StandardFusion’s innovative platform paired with Mirai’s expertise will make discussing security and compliance with your prospective clients and auditors easier and more straightforward than ever before. The Security Program as a Service solution greatly reduces the complexities of managing security governance, risk, and compliance and supports the efforts of the organization to demonstrate security maturity, increase sales and grow business volume by attracting clients looking for security-conscious vendors and suppliers that support their own compliance efforts. Mirai Security is a prominent cybersecurity consultancy focused on helping companies increase business opportunity through the development of cybersecurity strategies, maturing security posture and support measurable compliance programs. Mirai is a collective of cybersecurity and risk management professionals who specialize in the latest security best practices, standards, regulations, and privacy laws. Mirai helps your business turn security into a competitive advantage, allowing your teams to focus on what matters. They help you reduce your compliance overhead, ensure developers can focus on building rather than fixing, speed up your sales cycles, and support the security and compliance requirements of your clients. StandardFusion is a governance, risk management, and compliance SaaS platform that adapts to your organization. StandardFusion provides the single source of truth for your compliance and risk management activity. Easy, at-a-glance views show you the information you care about. StandardFusion paints the larger picture that you need to run your information security program. Through easy-to-use interface and dashboards, the CISO/CIO can get a quick overview, the consultant/compliance team can track requirements and controls, and VPs/Directors/Managers/Auditors can quickly query controls and assess residual risks. StandardFusion offers your company the opportunity to eliminate compliance spreadsheet nightmares, streamline the implementation and maintenance of your security program, measure the success of your compliance efforts and support painless audits while realizing substantial time and costs savings.